Monica Escaleras, Ph.D., is an associate professor of Economics and is the founder and Director of the Business and Economics Polling Initiative (BEPI) in the College of Business at Florida Atlantic University. The Initiative provides a laboratory for students to learn all aspects of survey research process from data collection up to presentations at professional conferences. Through hands-on activities, BEPI offers students the opportunity to develop new skills that help them in their professional development. In addition, results of the polls are regularly featured in several leading media outlets such as the Sun Sentinel, Washington Post, MSNBC, Reuters and MarketWatch – giving significant exposure to FAU. Escaleras also serves in the South Florida Culture Platform Steering Committee and supervises graduate students’ research projects. In 2016, Dr. Escaleras received the FAU National Alumni Association Degree of Difference Award and was a finalist for the FAU Distinguished Teacher of the Year award. Dr. Escalera's scholarship focuses on natural disasters and political economy and her research has been published in numerous journals, including the Journal of Public Economics, Canadian Journal of Economics, Public Choice and Southern Economics Journal. She teaches Macroeconomics and Money and Banking. 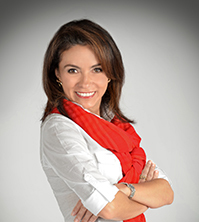 Dr. Escaleras earned her bachelor’s degree from Kentucky Wesleyan College, her master’s degree from the University of Florida and her Ph.D. in Economics from Florida International University. Prior to joining Florida Atlantic University, Dr. Escaleras was an Assistant Professor at College of Charleston. 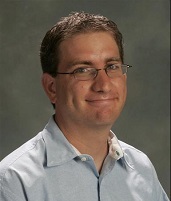 Mr. Levy is a member of the American Association for Public Opinion Research (AAPOR), and is certified in Human Subject research by the Collaborative Institutional Training Initiative (CITI). For the last eight years, he has specialized in strategic communication crafting campaign messages for candidates and issues throughout the country. 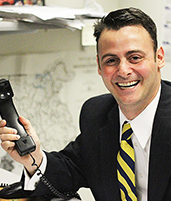 His use of automated polling has revolutionized political campaign communication message strategies. Dr. Wagner has published in leading journals and law reviews including American Review of Politics, Willamette Law Review, The Journal of Legislative Studies, The Political Chronicle, and Politics and Policy. In addition, Dr. Wagner has lectured extensively on politics and has been cited in many leading newspapers, including the New York Times, Washington Post, Boston Globe, New York Newsday, Dallas Morning News and Miami Herald. He has been featured on national television shows, including MSNBC’s "Andrea Mitchell Reports" and NBC’s “The Today Show,” and is a regular political analyst for WPEC CBS 12 in West Palm Beach, Fla.
Mr. Kimball is the adviser to the Emerson College Polling Society. He is a member of the American Association for Public Opinion Research (AAPOR), American Association of Political Consultants, (AAPC) and is certified in Human Subject research by the Collaborative Institutional Training Initiative (CITI). For the last 12 years, he has specialized in strategic communication crafting campaign messages for candidates and issues throughout the country. His use of automated polling has revolutionized political campaign communication message strategies. He is a national pundit quoted in a variety of publications including The Wall Street Journal, The Boston Globe, Huffington Post, Washington Post, Fox News, the National Journal, and National Public Radio (NPR). Kimball also teaches Public Communication at the graduate level and the course Policy, Advocacy and Public Opinion at the undergraduate level at Emerson College. He has been published in the American Behavioral Scientist (ABS) and the International Association of Business Disciplines (IABD). Kimball is also a small business owner, serving as the founder and CEO of Kimball Political Consulting, LLC. KPC provides survey research, message strategy and organization to political campaigns around the country. Its client list includes presidential candidates, U.S. senators, U.S. congressmen, governors and state senators/ representatives from over 40 states since 2002.